The Fed chief told lawmakers U.S. tariffs could threaten wage growth, but said it was unpredictable. Trade policy isn’t the Fed’s remit. Politicians are, though, worried at the early effects – yet they don’t want to anger Trump. A stronger steer from Powell might tip the balance. Jerome Powell waits to testify before the Senate Banking, Housing and Urban Affairs Committee on his nomination to become chairman of the U.S. Federal Reserve in Washington, U.S., November 28, 2017. 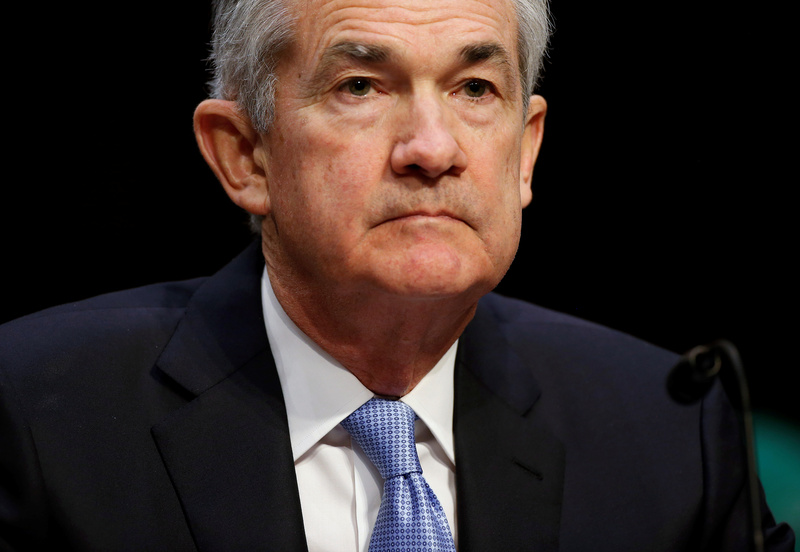 Federal Reserve Chairman Jerome Powell on July 17 told the U.S. Senate Banking Committee that the U.S. job market is strong and the economy is growing at a solid pace. He said inflation data is also encouraging, which means the Fed plans to continue to gradually raise interest rates. Powell said it was difficult to predict the ultimate outcome of U.S. trade policy, as well as the size and timing of the effects of the Republican tax cuts passed last year. “Overall, we see the risk of the economy unexpectedly weakening as roughly balanced with the possibility of the economy growing faster than we currently anticipate,” Powell said. His comments were part of the central bank’s semiannual monetary policy report to Congress. Powell will testify before the House Financial Services Committee on July 18.